The Environmental Paper Network’s vision is for a paper industry that has zero carbon emissions. Our forests and climate project promotes global action on the role of forests in climate solutions. Carbon emissions occur throughout the life of every piece of paper: when it is sourced from a forest, when it is pulped, when it is transported and made into something to be used and then when it is thrown away. If we use paper wastefully through short life products such as junk mail, inefficient office printing, or virgin tissue paper, it may only take a few weeks for forest carbon to be cut, pulped, shipped, used and dumped into the atmosphere. 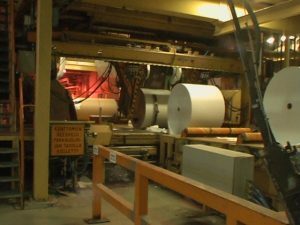 As a result, paper has a surprisingly big carbon footprint. Although paper is based on a renewable resource, a discussion paper published by the European EPN in 2013 shows that the way paper is produced and used may result in more green house gas emissions than global aviation. To understand why paper has such a large carbon footprint see below. Most people in Europe and America use on average around 200kg of paper per year, which means our daily dose of packaging, junk mail, tissues and photocopying generates up to 2 or more tonnes of carbon emissions. If we want to stop contributing to climate change, changing our paper habits can really help. In particular, we should avoid wasteful use of paper for pointless, short-life purposes, like unwanted advertising or excessive packaging. The carbon balance of books remaining on shelves for decades is of course different. This is why we advocate extending the lifespan of products and eliminating wastefulness which ultimately will cut down our climate impact. 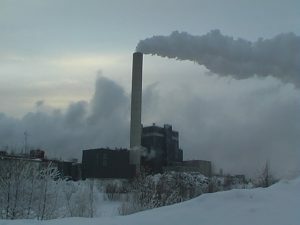 The pulp and paper industry can play a significant role in climate solutions, from smokestacks to land-use change policies. The stakes are particularly high when tropical peatland is deforested and degraded, and often followed by fires and additional emissions. See our Too Much Hot Air discussion paper. One big problem is a critical carbon accounting error, identified by a number of researchers, which is perpetuating the myth of the carbon-neutrality of burning forests for energy. This error threatens climate progress by creating incentives leading to the over-consumption of virgin forests for products and for energy. 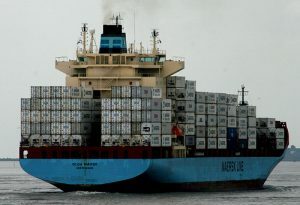 The error inhibits the communication of clear climate impacts and choices to policy makers and consumers and inhibits the adoption of true low-carbon solutions, such as recycled products and forest conservation outlined in the EPN’s Vision. We are committed to rectifying this error and ensuring that forest product greenhouse gas emissions are better understood and, eventually, eliminated. This work is lead by the Forest, Climate and Biomass Energy working group of EPN International. Why is paper’s carbon footprint so large? There are five stages in the life-cycle of paper products and they all cause carbon emissions. When trees are cut from forests, the store of carbon in trees and in the soil is reduced. This is particularly a problem when logging occurs in natural forests which have not been cut before and, incredibly, remaining natural forests are still cleared to produce paper and other wood-based commodities. 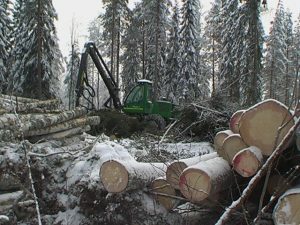 Forest carbon loss calculations are complex. Responsible forest management can protect forest carbon, but it’s a no-brainer to recognise that clearcutting a forest reduces the carbon stored in it. Some of the worst paper industry cases are in places like Indonesia or Russia, where deep peat soils, which store vast quantities of carbon, are degraded by logging and draining, emitting huge amounts of carbon. Knock on wood – it’s hard! Pulping it uses a lot of energy – you need as much energy to make a tonne of paper as you do to make a tonne of steel. Pulp is made either mechanically, by literally smashing or shredding it to smithereens, or chemically, by chipping it then stewing it in a chemical soup. Either way, pulp mills are huge engineering works and they require major energy supplies. Some mills use renewable energy sources, but many use wood (which takes us back to sourcing) or fossil fuels, and these mean yet more carbon emissions. Renewables tend to have a lower footprint than fossil based materials such as steel and concrete. However, paper is still very resource intensive. The increasing use of wood based biomass, which will be a major driver for wood use over the next 3 decades, can also be problematic. By 2050, annual wood demand for energy could reach 6-8 billion m3, which would require more than twice the wood removed for all uses today. This clearly poses a challenge for sustainable land-use planning. Badly managed bioenergy production can destroy valuable ecosystems, undermine food and water security, harm rural communities and prolong wasteful energy consumption. 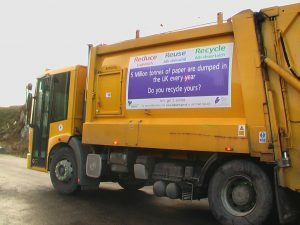 The concept of ‘food miles’ is familiar, but how many miles have the fibres in the paper you use travelled? In Europe, we import pulp and paper from Indonesia, South Africa, Brazil, Chile, Canada the USA and most other corners of the globe where trees grow. We ship waste paper to China then import it back again as packaging. Almost all of that transportation and distribution is fueled by carbon emitting fossil fuels. Raw paper from mills supplies a vast industry of ‘converters’, who make it into useful things, like cardboard boxes, paper bags, food packages, sanitary materials, office products and envelopes. The print industry does huge runs of catalogues, magazines, leaflets and books. These are distributed to retailers or in the mail, making their way into businesses and homes where they finally serve their purpose. The carbon footprint of all of these processes is part of the footprint of the paper we use.